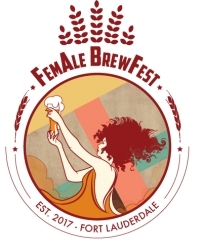 Fort Lauderdale, FL, February 06, 2018 –(PR.com)– Fem Collective presents the 2nd Annual FemAle Brew Fest on March 24 at Huizenga Plaza – a 1.8 acre park in the heart of downtown Fort Lauderdale with a built in amphitheater. In 2018, the FemAle Brew Fest will host an even larger selection of breweries either owned or co-owned by women or with a female running an important part of the business. With an added inclusion of "Friends of FemAle" which will feature the many breweries around South Florida that have been supportive of women in brewing and this unique festival. 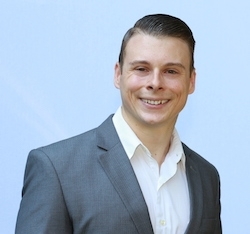 "Hard working, innovative women have been overshadowed for too long, especially in typically 'masculine' fields such as politics, IT, and the brewing industry. Historically, women commanded and created the brewing field. Men took over when it proved profitable. I take pride in the fact that for a decade I have played an integral part in producing a high quality product, and generating a healthy profit," says Angela Burroughs – Founder, Proof Brewing Co. "The next generation is watching and I know that my daughter will be a leader in her chosen vocation. I want to make sure she is recognized and respected for her achievements. She needs to know that women and men are equals in all things, especially success." The festival will be donating a portion of proceeds to the Pink Boots Society and Riverwalk Fort Lauderdale. Pink Boots Society – a non-profit organization with international membership which supports women working in the brewing profession, especially in creating craft beer. Riverwalk Fort Lauderdale – a nonprofit organization responsible for the planning, programming, beautification and promotion of Riverwalk Park and Huizenga Plaza.